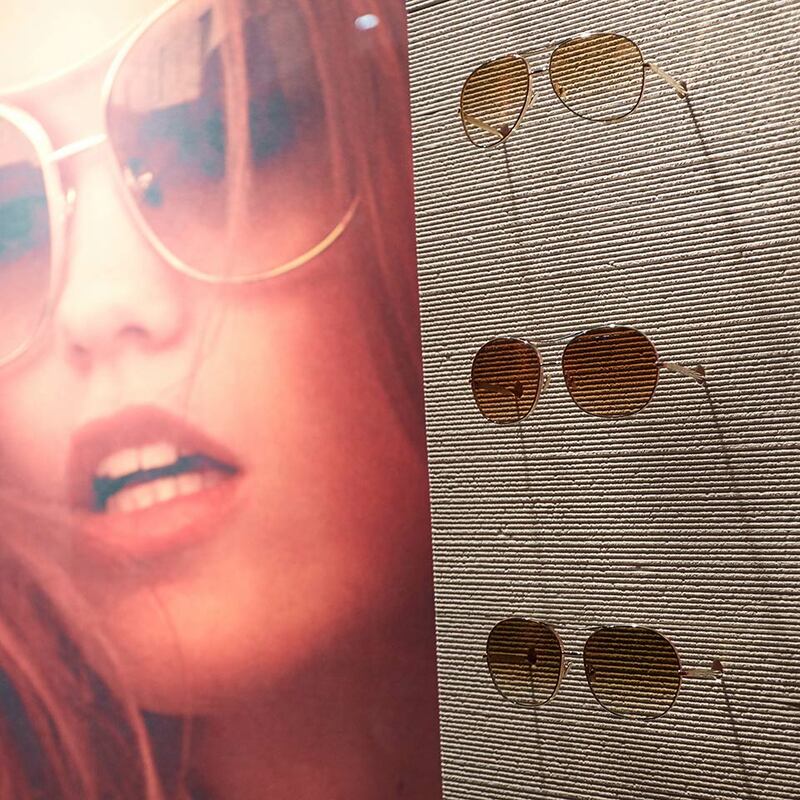 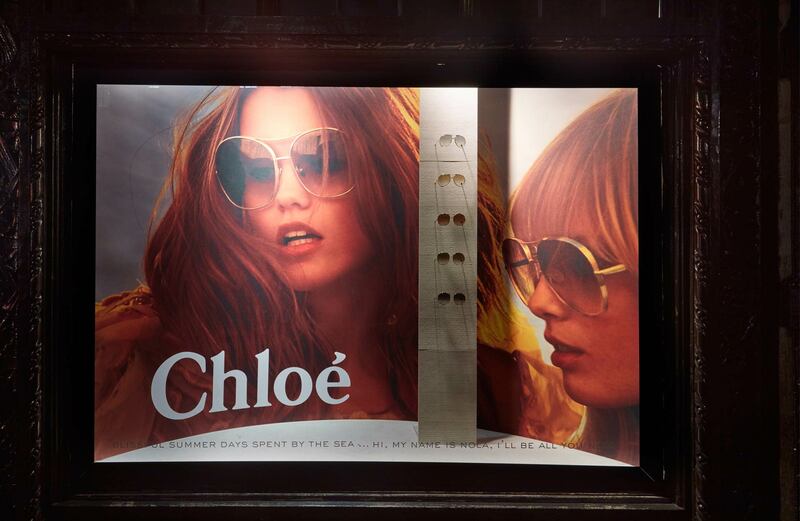 We collaborated with Chloe on their SS17 Sunglasses window at Liberty. 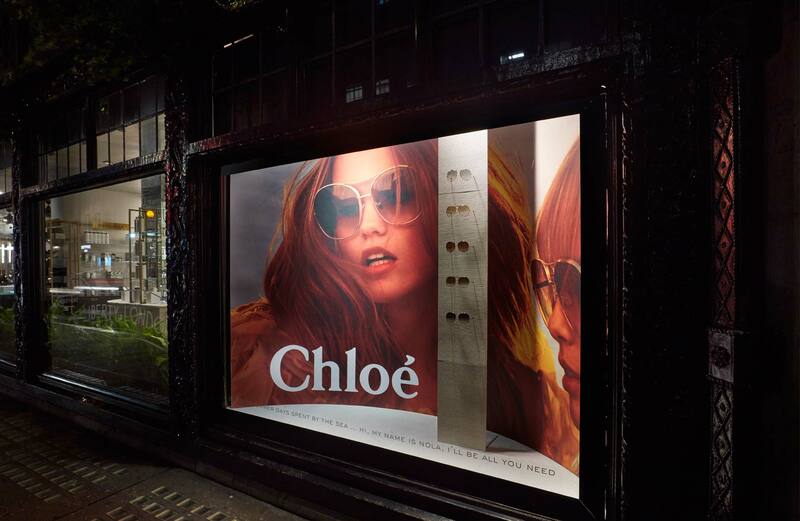 Using Chloe campaign imagery, a canvas was applied to a seamless curved back wall sitting on a concrete textured floor. 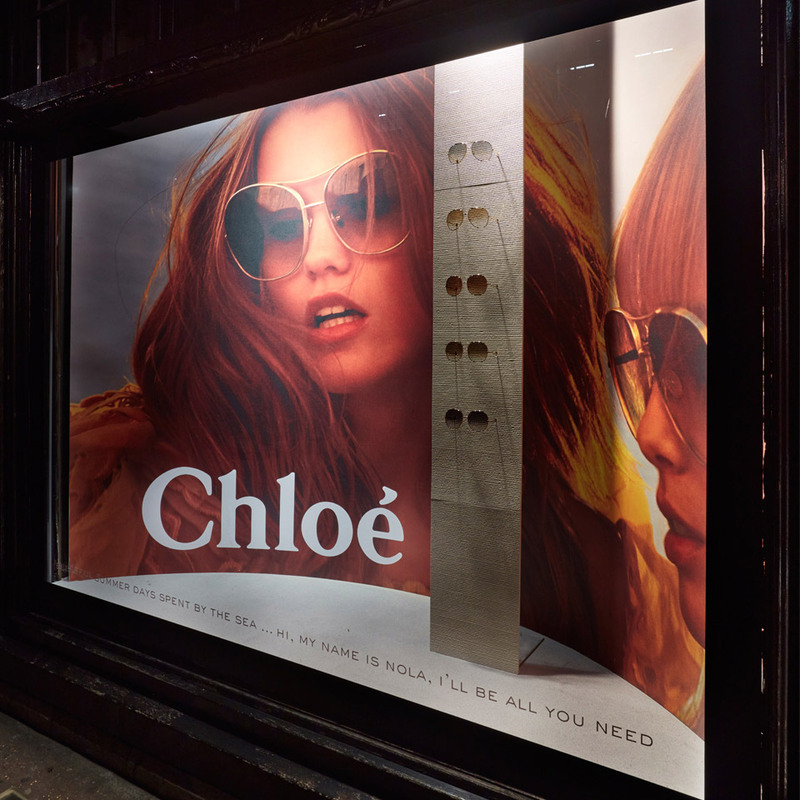 A bespoke sunglasses stand is featured in the window taking reference from their store architecture.